Griffin may not be the best Trapper, but at least you can get free stuff! The second Evolve community event kicks off this weekend, this time in honor of St. Patrick's Day! Players will be able to obtain special Trapper skins when playing the game online. 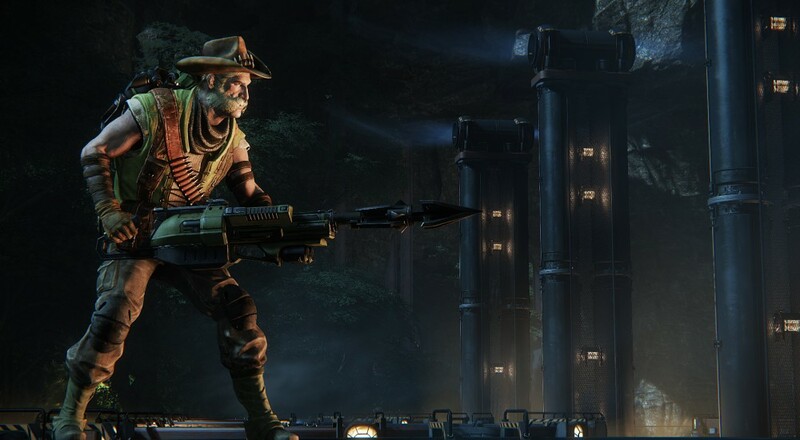 Since we wear green clothes to celebrate the holiday, the is the designated green Hunter class, the Trapper, is being featured in the special event going on within Evolve over the March 19-22nd weekend. 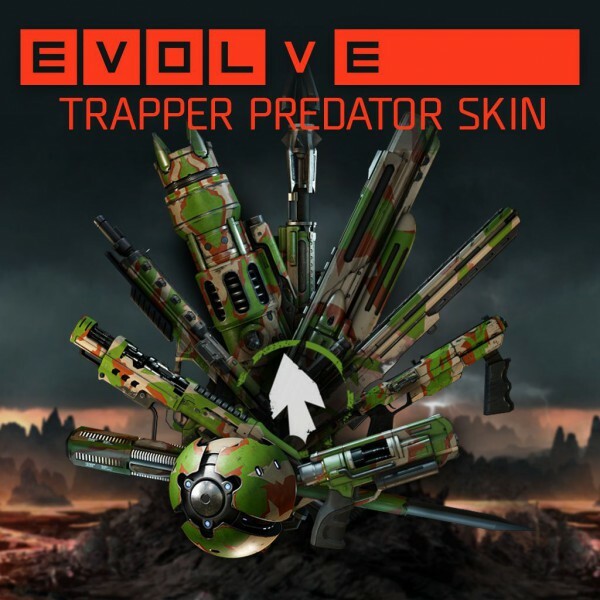 Though he's probably the weakest of the three Trappers, players in the Evolve community who use Griffin on their Hunter teams need to win over 35,000 games (collectively) to receive special Trapper Predator Skins for all Trapper characters. Griffin is an interesting Trapper, able to place Sound Spikes around the maps to pinpoint the Monster's location. Players who want to master of Griffin will have to learn the maps well and place their five Sound Spikes in strategic places to maximize their sonar range. Just remember that Monsters are able to smell out Sound Spikes and destroy them with ease. Although he only has one Harpoon Gun to latch onto the Monster to slow him down, it is much more powerful and mobile than Maggie's multiple, automated Harpoon Traps. Also, his regular machine gun has slightly better accuracy and stability compared to Maggie's. Make harpooning the Monster at long range a priority when using Griffin to his fullest. Only resort to combat if no other options apply. If you aren't able to make it online to win a few games with the character, everyone will still be issued the skin as long as they've played during that time period (and the community reaches the goal). Much like the "Hunt for Gold" community event a couple of weeks ago, players will be issued their Predator Skins at a later date, March 31st. Other community challenges are coming in the future, so keep on playing and evolving until we hear from Turtle Rock again! Will Evolve Be Able to Top Left 4 Dead's Legendary Co-Op? Page created in 0.2809 seconds.